I have been trying my hand at pen and ink drawing. I thought it was something that I had enough background in art that I could just jump right in. Should have known better. 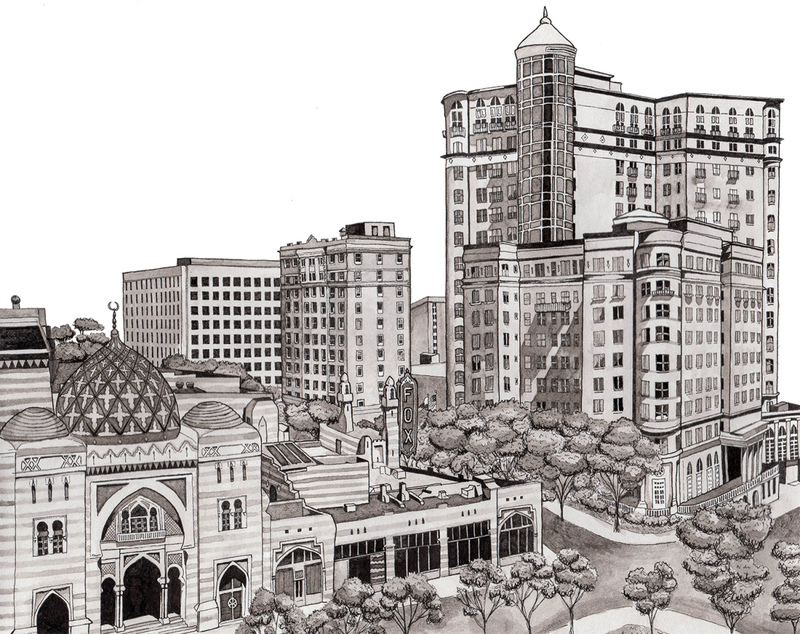 So in looking for a little more information on technique I came across a wonderful tutorial for a pen and ink cityscape on The Postmans Knock. 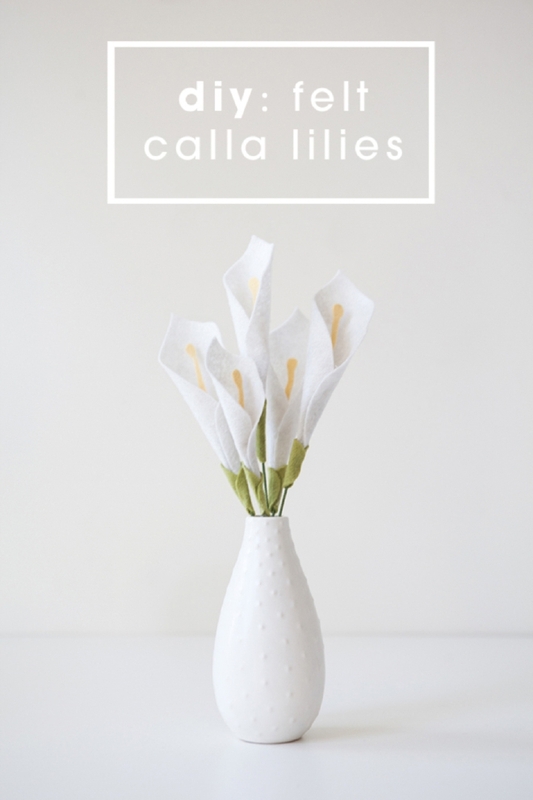 I really like these calla lilies by Something Turquoise. As much as I like felt I think I would make them out of handmade paper. Either way they are very pretty. 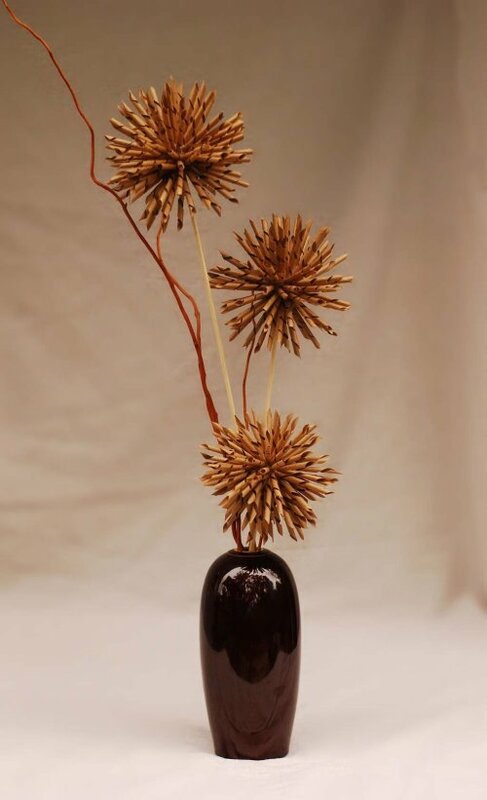 Spiky kraft paper flowers from Easy Paper Crafts may look hard to make, but really they are easy. And just a few simple supplies. 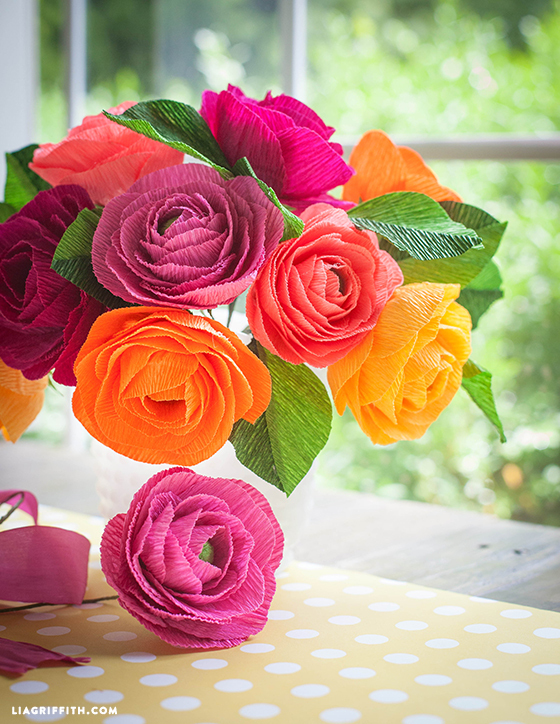 These crepe paper flowers take a little time, but I love the colors. They are from Lia Griffith. 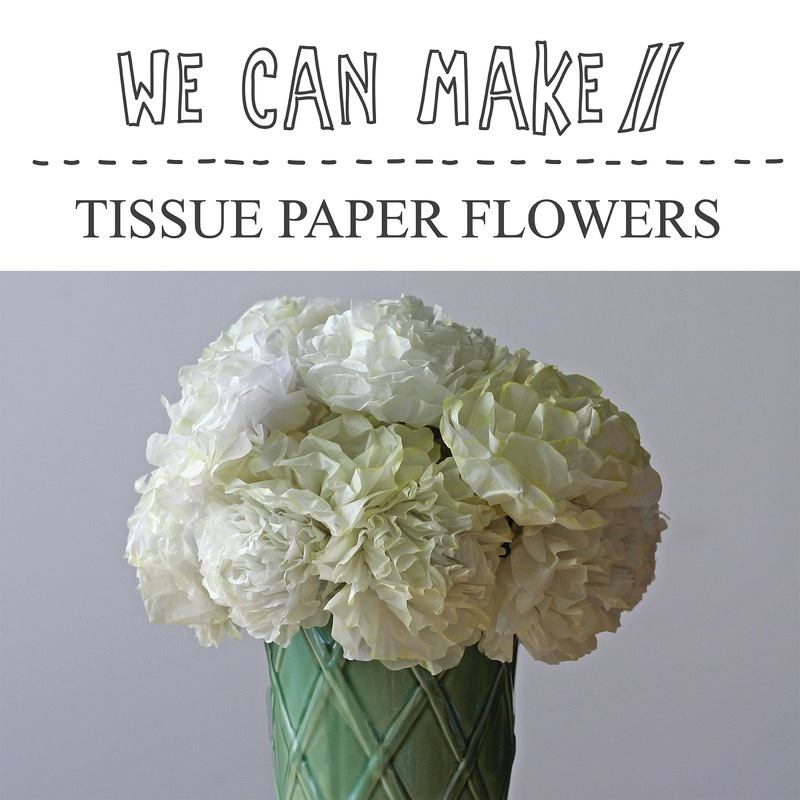 Could it get any easier than these lovely tissue flowers fromWe Can Make Anything? Making yarn from old t-shirts is a lot of fun and very easy to do. Check your thrift shops or garage sale for old t-shirts. You need the ones that are made in a tube, they won’t have a side seam. Then follow the instructions for making t-shirt yarn at Callaloo Soup. 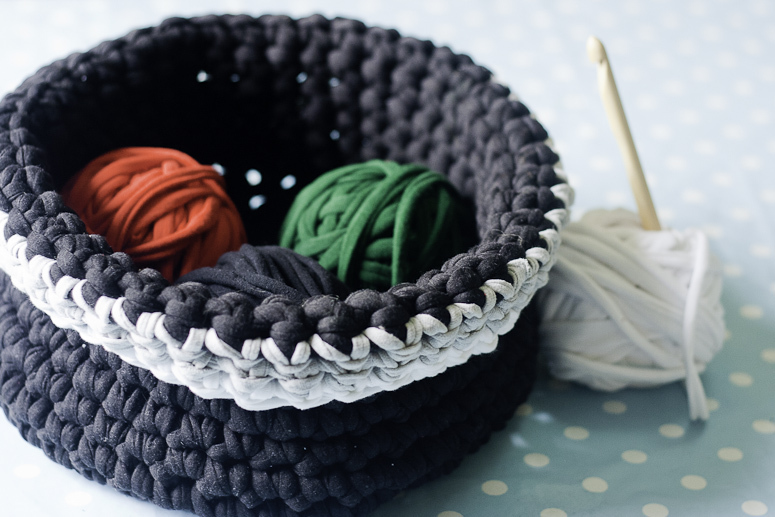 And if you are looking for something great to make out of this yarn check out her crochet baskets. As my body has changed shape over the years I find it hard to know just what style will look good on me. For some reason when you are a plus size stores think you are happy to order clothes online instead of trying them on. And I really hate to sew an outfit up only to find out I don’t like how it looks on. So it is all a guessing game. Well Hems for Her’s posted a wonderful chart to take some of the mystery out of my problem. If you have a curvy figure you should really check out her blog, it has wonderful ideas on how to dress curves. 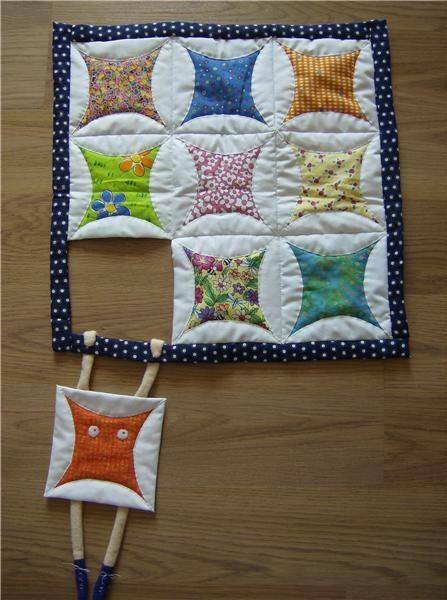 I was looking at quilt inspirations today and I am sharing some wonderful quilts I found. The first is by Valerie Goodwin. 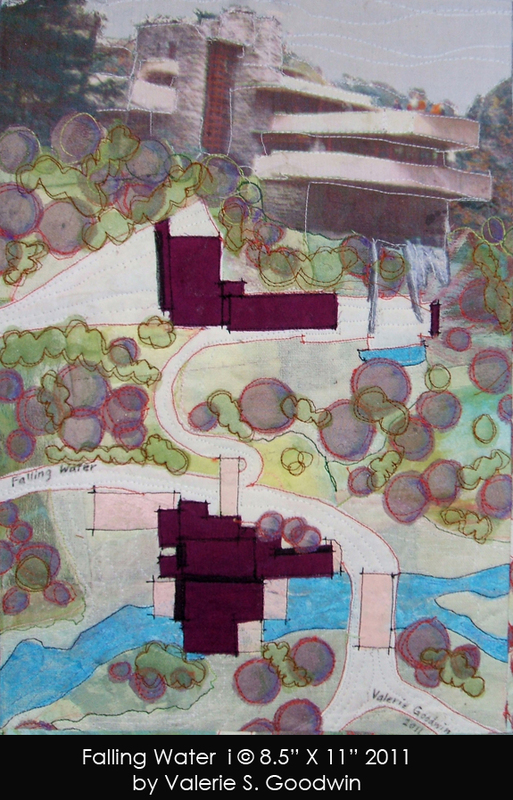 “Falling Water” a Frank Lloyd Wright home. “Summer” by M. Alice. This one is just too cute, by Felice Fiber Art. The artwork of Mama CJT really speaks to me. 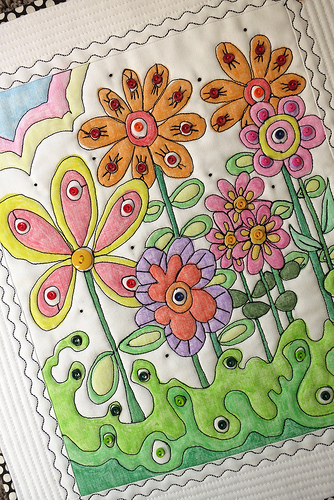 She uses a crayon method to color the fabric and then quilts it. 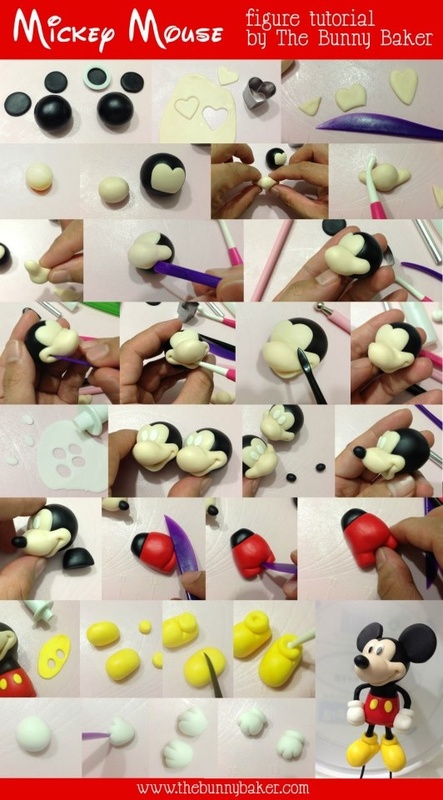 If you are looking for figures to make out of clay you might check your favorite search and look for fondant tutorials. You can find some great designs. Mickey is from Empezandoa Empezar and she has other designs too! 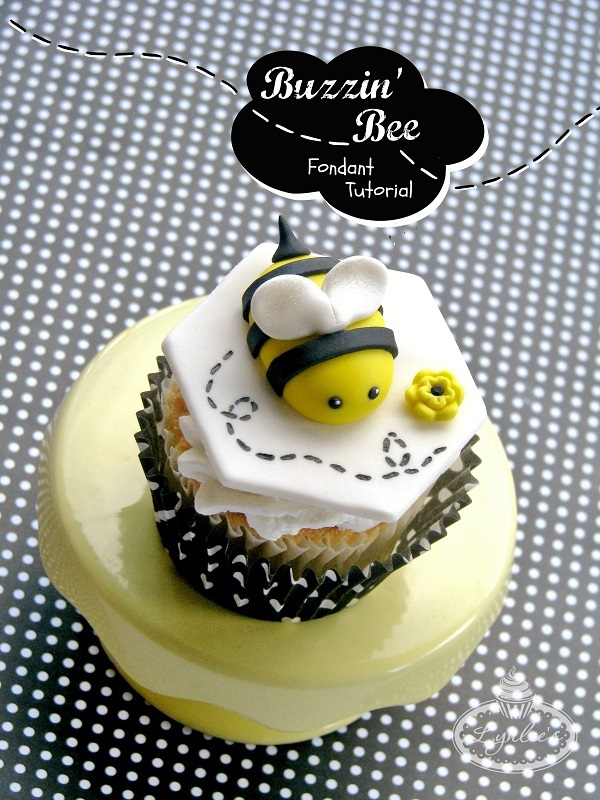 Cute little bee from Craftsy. 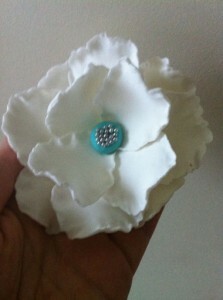 Bonnie Bakes has the tutorial for this pretty fondant flower. If you are baking the clay you can use polyester batting to hold the petals up. 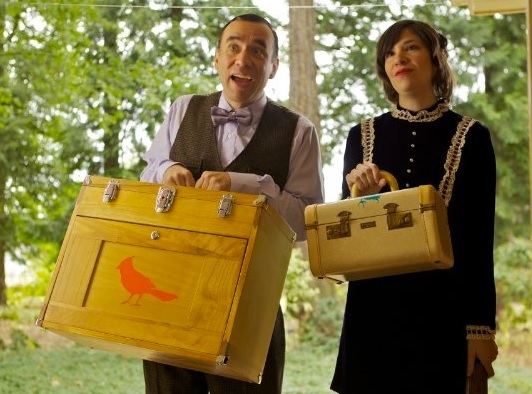 So let’s do a little crafting with birds! DIY stenciled tea towel by Sweet Living. 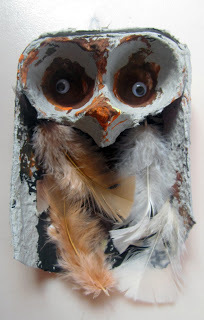 This is an art lesson for preschoolers, I thought is was nicely done. It is by Art and Soul Preschool. 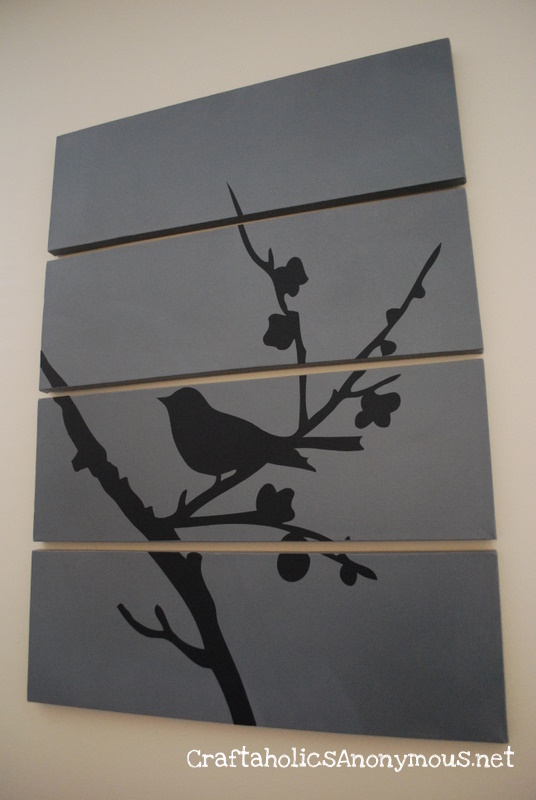 Wall art by Craftaholics Anonymous. 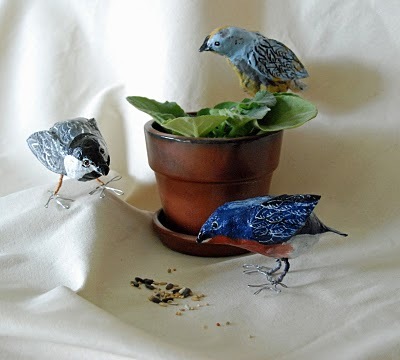 That Artist Woman has a great tutorial on paper mache birds. 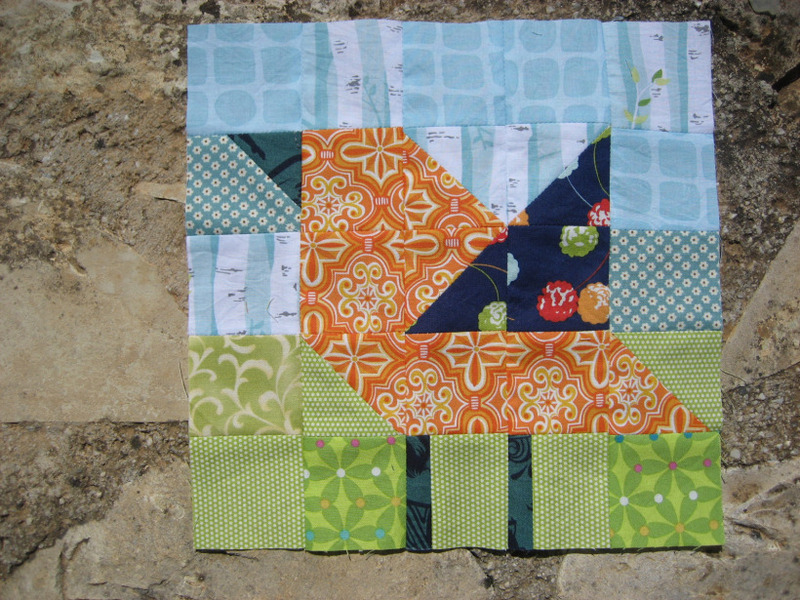 And for my quilting friends here is a patchwork bird by Nero’s Post and Patch. So have fun and put a bird on it!